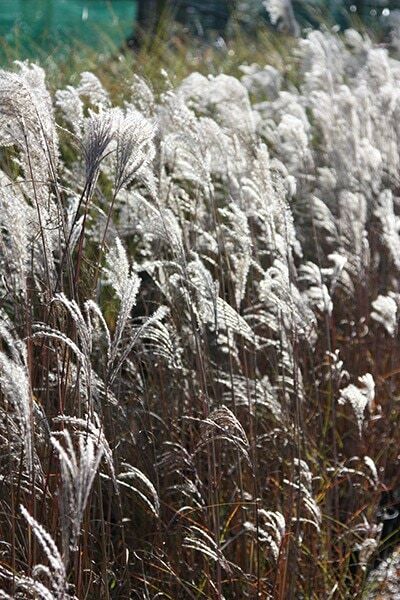 A stunning, fountainous grass for a mixed or herbaceous border, this has narrow, silvery leaves with a white stripe down the centre. It flowers profusely and keeps on flowering right into autumn, when its new, reddish-brown, tassel-like flowers are a pretty foil for the faded, silvery older ones. 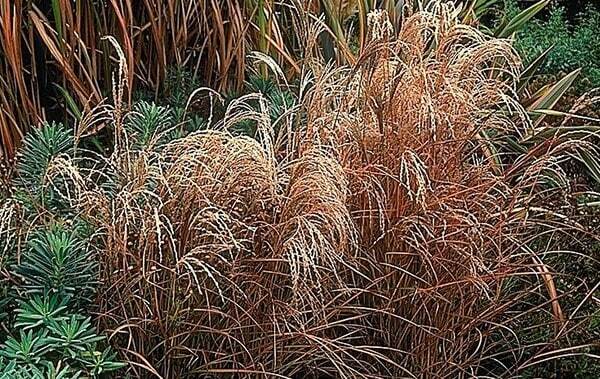 Use it to add height to a perennial border, and to give winter presence. Garden care: Protect from excessive winter wet. Cut down to the ground in late winter, before new foliage appears. I bought this grass last summer. It is slow to grow, and only started doing something very late in the season this year, but then it did flower and the tassels are absolutely gorgeous. I love it and will patiently wait for it to clump up. This grass has looked great at the back of a border. Very tall with pretty seedheads that move in the breeze.